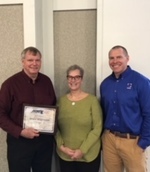 For more than 30 years, the APWA-MN Chapter has sponsored an annual Awards Program that recognizes excellence in public works. In addition, the chapter actively supports the APWA Awards Program with multiple submissions to the annual national awards program. Learn more about awards and winners in the tabbed section below. Lane Wegener (left) and Dale Ronning (right) jointly received the 2018 Engineering Technician/Field Personnel Award. 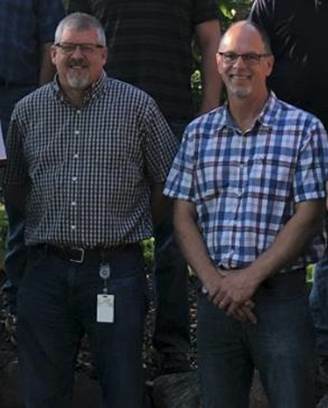 Dale and Lane have worked side-by-side for nearly 30 years with the City of Eagan Engineering/Public Works Department. They began their Eagan careers within a two-week period in 1989, first as engineering aides and technicians, and promoted to the Project Coordinators they are today. They are the same age, with birthdates only days apart, and their respective wedding anniversaries are also only weeks apart. But these date coincidences are not where their similarities end, as their work also mirrors and complements one another. Dale and Lane are true professionals, taking ownership of all their projects, and proud of the work that is accomplished. They are responsible for contract and project management of millions of dollars of CIP and private development infrastructure work that spans a variety of public improvements; publicly-built, privately-built, county, state, streets, utilities, water resources, parks, and most with multiple and varied stakeholders. As determined by our Awards Committee, this year's Project of the Year was awarded to the City of Hopkins for their Artery Project. Accepting the award on behalf of the City of Hopkins was Nate Stanley, City Engineer for the City Hopkins. The project team included Bolton & Menk, Inc. (Project Design Firm) and Meyer Contracting (Project General Contractor). The concept of "The Artery” began a decade ago, originally envisioned to increase visibility of the historic downtown Mainstreet and connect the city core to the main vehicular thoroughfare of Excelsior Boulevard. 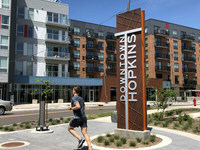 With this vision as a starting point, the City of Hopkins desired a vibrant, interactive, and pedestrian-friendly plan that would draw people from the proposed Southwest Light Rail Transit (SWLRT) downtown Hopkins station through The Artery to downtown Hopkins’ historic Mainstreet. The Artery integrates highly interactive public art, innovative technology, a two-way cycle track connecting two regional trails, and incorporates educational elements of storytelling and cultural history all within the public realm, making these three blocks a prime destination along the proposed SWLRT Metro Green Line. 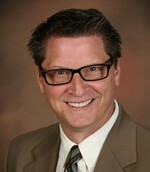 This year's Hugo G. Erickson award winner is Mark Maloney, Director of Public Works, City of Shoreview. 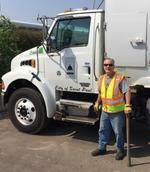 Bobby began his career with Public Works in Saint Paul on April 14, 1997. His career opportunities and his efforts have caused him to become a role model and a steward of excellent practices to his co-workers. The duties that Bobby most regularly pursues are those of the complaint driver which requires constant attention and activity in a city as populated and vibrant as St. Paul. These duties include responding to pothole complaints, clearing out illegal dump sites, picking up debris blocking roadways, removing dead animals, correcting traffic control that has been damaged within construction projects, and anything else that needs to be addressed during his shift. Bobby specifically pursues this shift for the constant action and the positive feelings of accomplishment each day. Bobby is an energetic, positive, productive and friendly coworker who exemplifies what a front-line maintenance worker should be. Bobby’s professionalism, skills, and attitude make him an outstandingly valuable public servant worthy of this important recognition. Brian leads the City of Minnetonka Public Works Department, which is responsible for maintaining the city’s infrastructure through seven divisions: natural resources and forestry, recycling, parks and trails, water and sewer utilities, streets, buildings and fleet. Public Works employs 65 full-time staff and 26 seasonal, part-time staff. Brian has never shied away from innovation and ways to promote new or existing technologies and equipment. He is always able to see the big picture, keeping the goal in mind while making certain spending is justified and fair to taxpayers. Brian delivers with innovation, consistency and service, and provides outstanding service to citizens that enhance the public perception of public works services. The City of Hastings is a community of just over 20,000 positioned on the Mississippi River. It has a rich history and a vibrant downtown area. The City’s Levee Park is situated between the downtown businesses and the Mississippi. The park was an under-utilized space that the City desired to make more of a destination for visitors, city residents, etc. The City of Hastings, along with their consulting engineer, Bolton & Menk worked together to cultivate a collaborative, consensus-based plan that focused on the ideas and values of the neighboring users. The three-phase plan has helped to revitalize the riverfront area and includes features for users of all types. Prominent features of the project include: a Veterans Memorial, Amphitheatre, Play Area, mixed-use trails, and more. The Minnesota State Capitol Restoration project, located in Saint Paul, began due to the structure reaching a critical point of deterioration warranting an extensive structural rehabilitation. During this State Capitol Restoration project, historically accurate architectural details were rehabilitated throughout the structure to restore the historical context of the bridge. The design addressed current and future functionality, safety, and accessibility while preserving and restoring this historic landmark. The construction was completed with State workers, Senators, Legislators, and the public occupying the facility at times. In the end, HGA Architects & Engineers, the State of Minnesota, and J.E. Dunn Construction Company had great accomplishments given adverse conditions, used sustainable design techniques, multi-agency coordination, and gave consideration to the environment. Nicollet Mall is a 12-block stretch in the heart of downtown Minneapolis. The corridor includes commercial, office, entertainment, transportation and pedestrian activity. The area was in need of reconstruction and updates. The project was a high-profile project with high visibility. The City of Minneapolis, along with their consulting engineers, worked together to meet the needs of both the City and users’ needs. It was important for the project to address aging infrastructure while contributing to the unique character of the City. The City’s Nicollet Mall project was front and center while the City hosted the 2018 SuperBowl. Activities in the week leading up to the game were focused along the Nicollet Mall corridor and it was a great highlight for the events. City and county engineers often receive requests, complaints, and suggestions from residents about traffic and unsafe drivers. In many cases, citizens specifically ask a local agency to install traffic control measures, such as a stop sign, warning sign, or devices that indicate a crosswalk. Several requests are also made to change the speed limit. Not all jurisdictions handle these citizen communications in the same way. In some cases, the concerns may not be routed to the right personnel within the agency. Other times, the agency may address the concern, but the public may not understand the rationale behind the action taken. An explanation of why a requested strategy may or may not be the appropriate solution. This uniform approach provides general guidance that can be modified to meet each agency’s needs and improve service to residents while maintaining an open dialogue with citizens. WSB & Associates, Inc. receives the Harry S. Swearingen Award (corporate) at the 2018 PWX. WSB has shown incredible commitment to our Chapter and has been instrumental in advancing the work of APWA-MN working on committees, conference planning, presentations, and bringing our Chapter up-to-date with technology. WSB’s commitment to innovative and creative approaches to solving challenges in our industry spans decades, and we are thrilled to have created such a strong foundational partnership with them over the years. Jeannine Clancy receives the Harry S. Swearingen Award (Individual). Jeannine attended her first APWA conference in Phoenix, Arizona in 1993 where she served as a general conference volunteer. After moving back to Minnesota, Jeannine had the chance to participate again in the national conference as a general volunteer when the conference was held in Minneapolis in 1997. By participating in these events, Jeannine found a knowledgeable, supportive and fun group of public works professionals that provide a great network in each local chapter. Jeannine was also instrumental in bringing the PWX Conference to Minnesota in 2016, and was the co-chair of the PWX Host Committee. 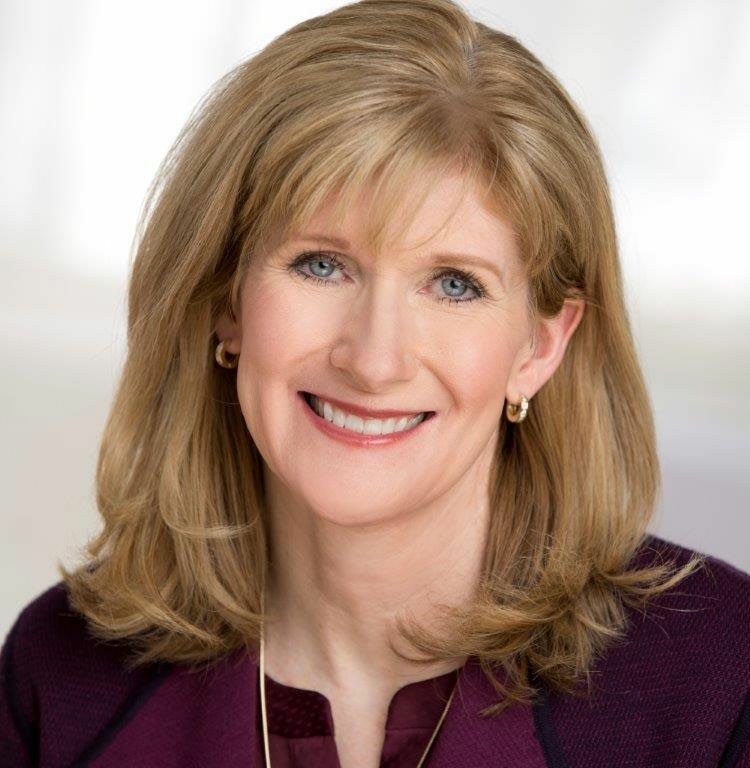 With each initiative, Jeannine brings her positive attitude and infectious high energy.